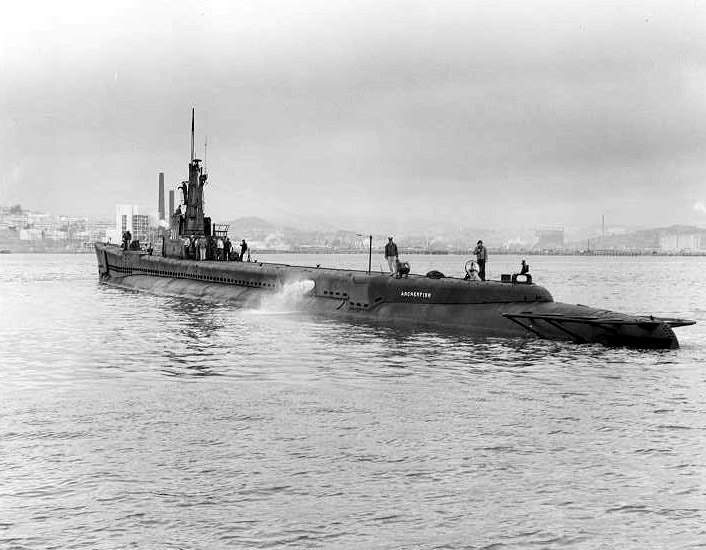 USS Archerfish (SS-311) was a Balao-class submarine named after a toxotoid fish. The archerfish is an adept predator that shoots a high-pressure stream of water to stun its prey. During World War II, its namesake was a threat in the Pacific, but the submarine remains most notable for what she did to the Japanese aircraft carrier Shinano in 1944. 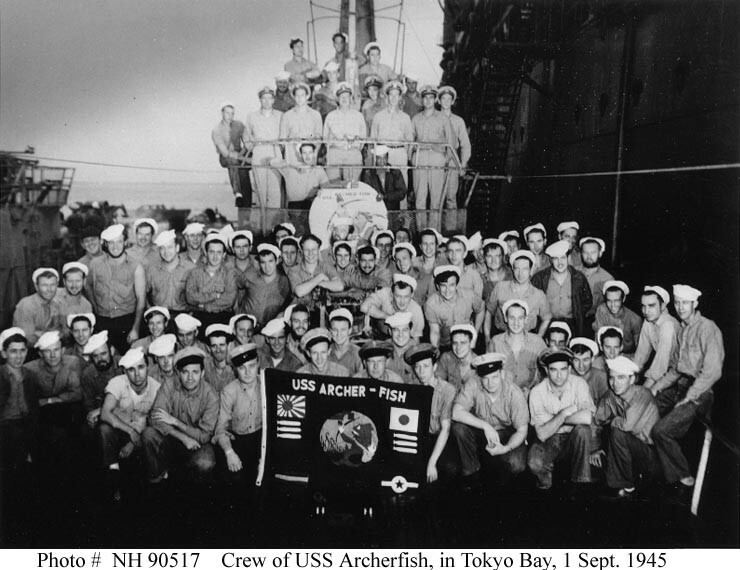 Archerfish’s story began when her keel was laid on January 22, 1943 in Portsmouth Navy Yard. After construction, she was launched and christened on May 28. Archerfish’s launch was sponsored by Miss. Malvina C. Thompson who was then the personal secretary to First Lady Eleanor Roosevelt. Lieutenant Commander George W. Kehl became the boat’s first commanding officer following her commissioning at Portsmouth on September 4, 1943. Promptly after her commissioning, the US Navy began a series of training and trials for seamen who could form the submarine’s crew. On November 13, Archerfish reported for duty as part of the Pacific fleet. More training exercises followed Archerfish’s arrival at Pearl Harbor on November 29, 1943 as the crew prepared for the submarine’s first war patrol. Disabling the enemy and helping with the effort to win the war was Archerfish’s priority, and on December 23, after all readiness protocols had been observed, she set out on her first ever war patrol. This duty took the submarine to the East China Sea north of present-day Taiwan. During Archerfish’s 53-day patrol, she engaged three enemy ships but scored no kills. Indeed, on January 22, 1944, exactly one year after her keel was laid, she did attack what was believed to be a 10,000-ton merchant vessel, but it is still not clear if she sank it because she was immediately engaged and depth charged. Archerfish escaped the skirmish unscathed. She returned to Midway on February 16, ending a rather barren first patrol. Her second patrol ran from March 16-April 27, 1944, ending with no hostile engagements at all. Following this, she took part in the strikes against Iwo Jima, performing lifeguard duties. During this period, Archerfish, now under the command of Lieutenant Commander W. H. Wright, also struck and sank the Japanese coast defense vessel Kaibokan 24 on June 28. On July 2, while around Chichi Jima, she attacked a Japanese convoy. This time, two ships suffered from her torpedo strikes. A 10,000-ton transport received 5 torpedoes, while a smaller, 2,000-ton cargo ship had one torpedo strike. USS Archerfish (SS-311)’s crew pose on board, while she was alongside USS Proteus (AS-19) in Tokyo Bay, 1 September 1945. However, because of the countermeasures immediately employed by the enemy, Archerfish did not stick around for long to observe the victims and provide any conclusive record of her success or lack of it. That meant that no sinking could be claimed. The only claim the Archerfish could make was that she had caused damage to the two ships she attacked. On July 4, while carrying out lifeguard duties, Archerfish saved pilot Ensign John B. Anderson after his aircraft fell to enemy fire. 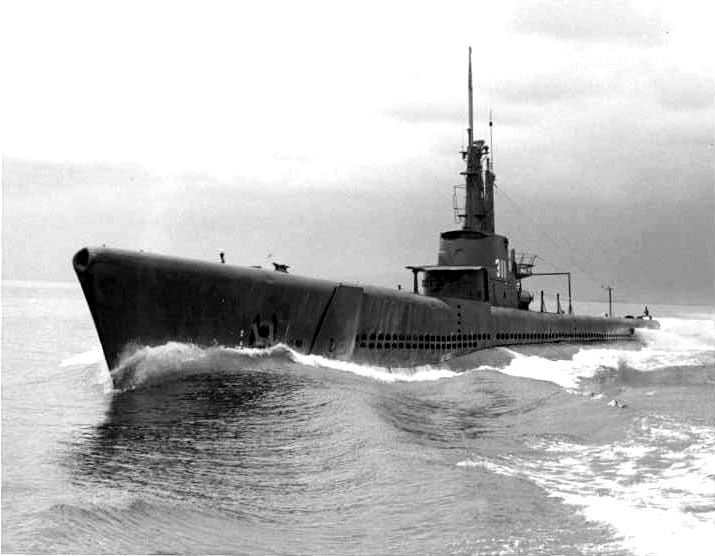 Following the end of her 3rd patrol, the submarine received combat insignia and went for a refit alongside the submarine tender USS Protheus. 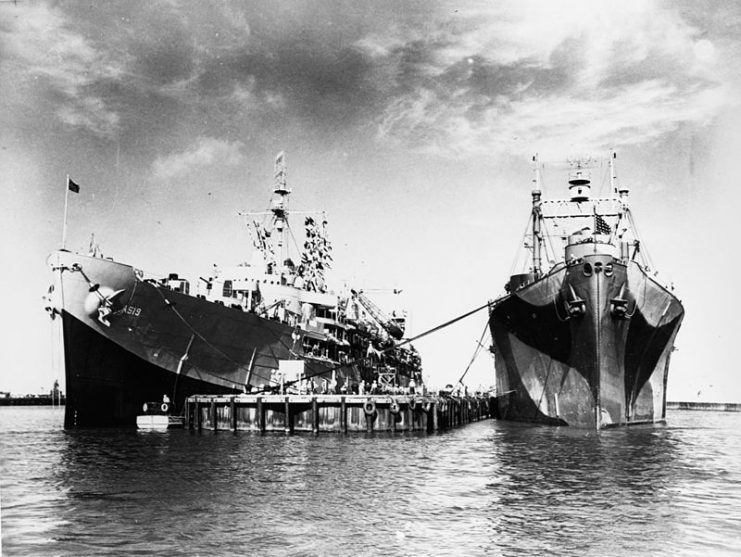 The U.S. Navy submarine tender USS Proteus (AS-19), left, at Midway, sometime between 3 May and 1 December 1944. USS Aegir (AS-23) is at right. Archerfish‘s fourth patrol began on August 7 and took her to the Japanese home waters east of Honshu. She scored no kills in her 53 days of prowling the Japanese waters. However, during a daylight hostile engagement on August 13, she damaged a small patrol boat. The small successes of the submarine’s previous patrols would be completely overshadowed by the historical success of her fifth patrol. On November 28 Archerfish, now under the command of Commander Joseph F. Enright, detected a monumental enemy presence on the surface of the sea. 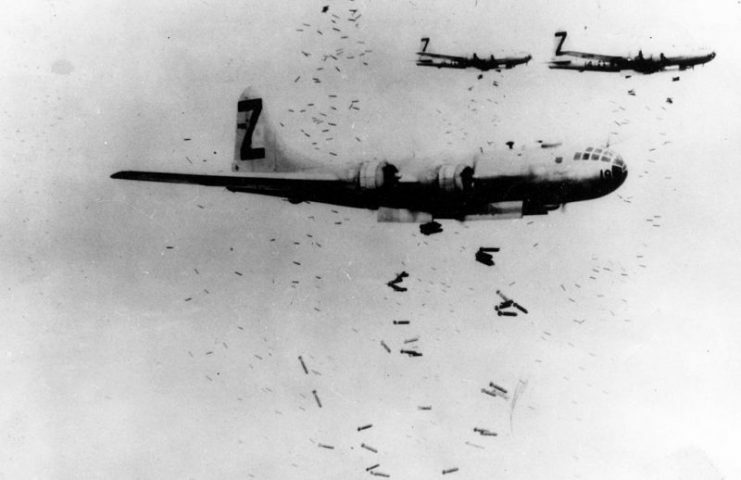 She had originally been placed on lifeguard duties as the first wave of B-29 Superfortresses struck Tokyo. But on that day, word came that there would be no air raids. This gave her the freedom to move around the waters near Tokyo Bay at will. That evening, while patrolling south of Nagoya, her radar picked up an enemy convoy 12 miles away. While surfaced, the submarine’s lookouts confirmed it to be an aircraft carrier escorted by four destroyers. The Japanese ships likewise detected Archerfish with their radar and began making maneuvers to evade the submarine. The carrier turned out to be very fast and elusive, leading Archerfish on to a 6-hour chase. Enright patiently trailed the ship and then manuevered the submarine ahead of it and waited for it to fall into the line of fire. He ordered for the boat to submerge and prepare to attack. 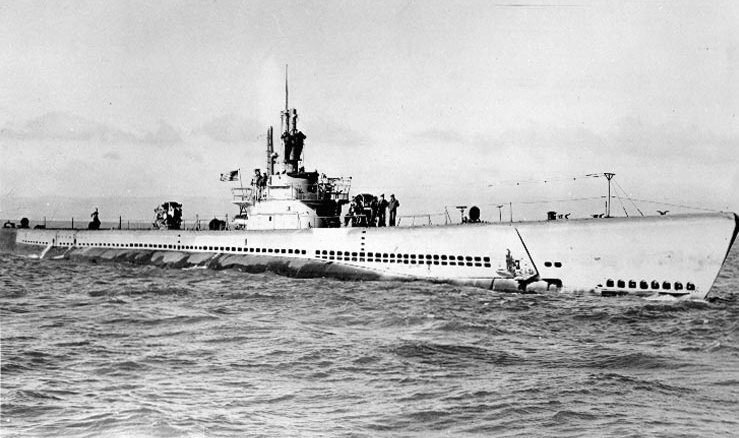 USS Archerfish (SS-311), port side view, possibly entering Tokyo Bay, circa Sept. 1945. When the target was just 1,400 yards away, Archerfish fired six torpedoes at the carrier. After watching two torpedoes hit the carrier, Archerfish quickly went deeper into the ocean to avoid retaliatory depth charges from the destroyers. Enright and his crew could pick up “loud breaking up noises” and the frenzied movements of the crew aboard their victim. The helter-skelter aboard the carrier lasted for 47 minutes. All Enright and his crew knew after the attack was that it was a really big ship. But not until after the war did they all learn that the Archerfish had made history by destroying Shinano, the largest warship of the war. Shinano weighed 72,000 tons. Interestingly, despite its size, the US Navy knew nothing of its existence. After Archerfish sank the ship, she was initially credited with sinking a 28,000-ton Hiyō-class carrier based on Enright’s description of it. It would be discovered after the war that Enright’s Archerfish had, indeed, sunk a whale of a ship. Archerfish, to this day, still holds the record of sinking the biggest ship that has ever been sunk by a submarine.